One question Craig and I answer just about daily is about natural sweeteners. It is usually asked in the form of “Why do you use ‘artificial’ sweeteners? and can I use coconut sugar or sugar-in-the-raw instead? 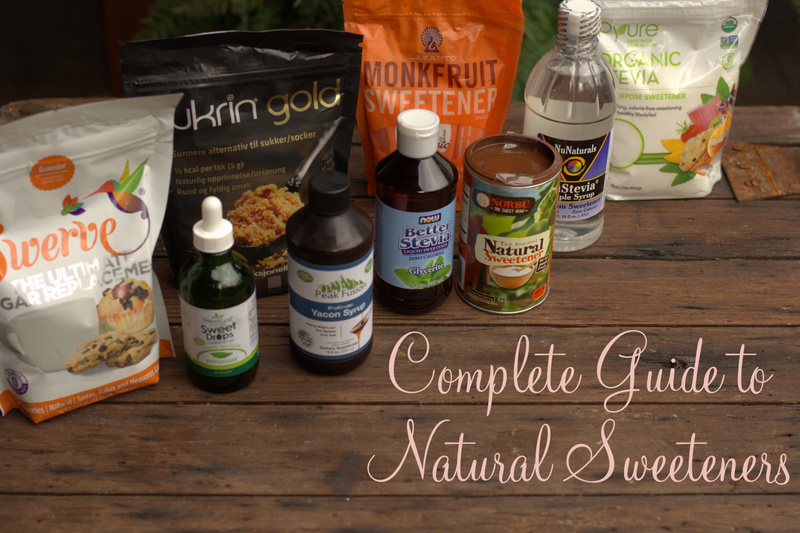 Thats why I decided to post “Guide to Natural sweeteners”. First off everything we recommend is not ‘artificial.’ Just as you can find sugar cane fields and honey in nature you can also find the stevia herb and grow it in your own home if you wanted. 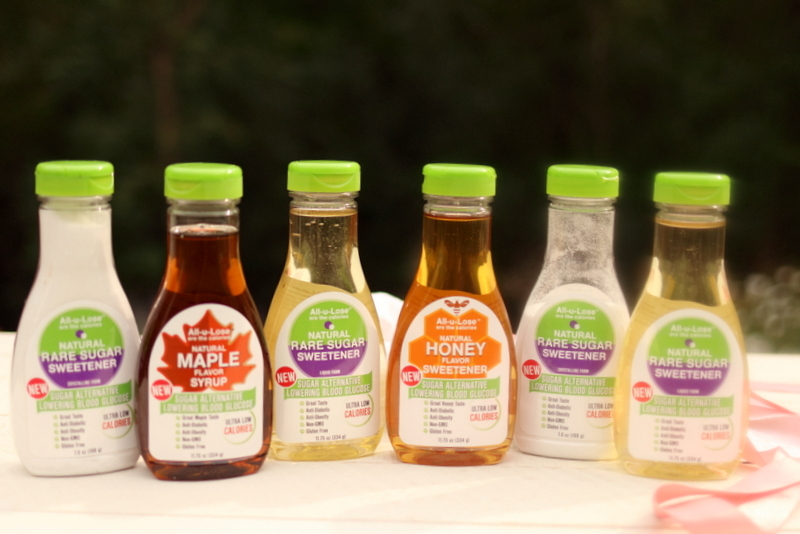 These are as natural as honey or maple syrup without the blood sugar and inflammatory effects. I listened to a great radio program on NPR discussing how our grandparents often had a dessert after dinner, a pie or something special homemade by the mother of the family. The nutritionist on the show talked about how that was the role that the woman of the home often felt and so she fulfilled that by cooking and baking tasty meals. So what is the issue with having sugar now and why do we have such a rise in Metabolic Syndrome not only in adults but kids too? We no longer just have a small piece of pie after dinner. It starts with breakfast. I too grew up on cereal and skim milk. 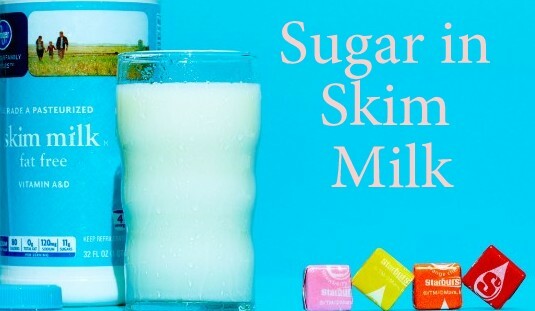 Did you know that there is more sugar in a cup of skim milk than there is in 4 Starbursts? 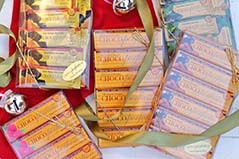 Then for a snack it is often a granola bar that has the same sugar as a candy bar! Lunch always includes sugar… pudding, jello, granola bar, Gatorade, Juice… things that we didn’t fill our cells with in the past. Sugar was a treat but now it is a staple in our diet. 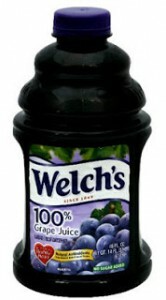 Here is an interesting fact… Welch’s 100% grape juice (NO SUGAR ADDED…just grape juice) has more sugar/fructose in 8 ounces than a 12 ounce can of Mountain Dew! What I’m really concerned about it fructose which is present primarily in sugar, high fructose corn syrup, honey, agave and fruit. One of the big contributors to the aging process and development and perpetuation of degenerative diseases is Advanced Glycation End Product (AGEs) glycation. Glycation is where a chemical reaction occurs between proteins and either sugars, lipid peroxidation products (free radicals from oxidative damage), or the breakdown products of sugar. So sugar plays a big role in glycation as does oxidative damage (think PUFA oils and sugar inflammation). Glycation is the forming of sort of a crust around our cells. Many different studies have shown that this crust contributes to a wide range of diseases including diabetes, Alzheimer’s, heart disease, asthma, stroke, cataracts, glaucoma, PCOS, autoimmune disease and much more. So what role does fructose play here? Studies have shown that fructose enables glycation reactions ten times more rapidly than glucose! The average American in 1960 consumed 2 tsp of sugar/day. 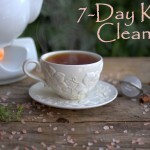 In recent years it increased to over 65 tsp every day! Fructose consumption accounts for approximately 10.2% of total calories, EMPTY calories I might add. Americans most frequently ingest fructose from sucrose (table sugar), which is 50% fructose and 50% glucose bonded together, high fructose corn syrup (HFCS) is about 55% fructose, honey is also 55% fructose. 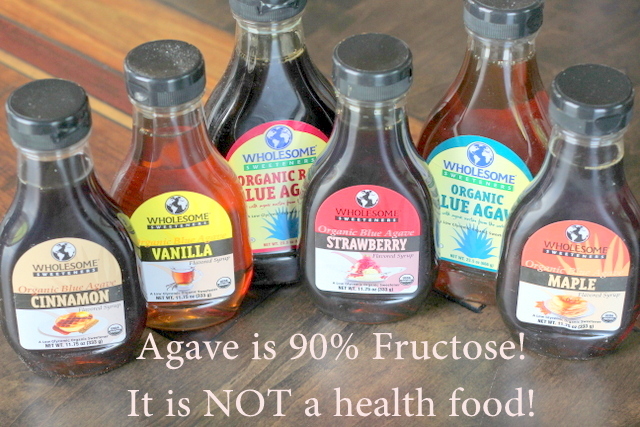 Agave, while ‘natural’ 90% fructose…NOT a health food! Honey may be less refined and more natural than white sugar, but honey is still high in calories and fructose. It contains sugar and calories just like any other sweetener. One teaspoon of natural honey contains 22 calories. Honey actually contains more calories than sugar, as one teaspoon of sugar contains 16 calories. The biggest problem with honey is that it is roughly 50% fructose. Sure, honey does provide some nutritional benefits that are lacking in white sugar. Honey contains niacin, riboflavin, thiamine and vitamin B6, though it contains only traces of these minerals. Additionally, honey doesn’t even get close to the U.S. Department of Agriculture’s recommended daily standards. Although these trace vitamins might make honey a slightly better choice than white sugar, it’s still not a healthy food. Despite the fact that several websites claim honey to be some kind of miracle food, most of these statements are mythical and unproven. If you still think honey is worth using in your baked goods because of the vitamins, let me put it another way: only 2% of honey contains vitamins! And in most cases, store bought honey doesn’t even contain the pollen that is claimed to have health benefits. Honey without pollen is a watered down, synthetic scam. The majority of honey on supermarket shelves is made from an ultra-filtering process that heats honey to high temperatures, using high levels of pressure to force it through exceptionally small filters to eliminate pollen. Why are they doing this? It is so manufacturers can hide where they are getting the honey from. And why would they want to conceal the honey’s source? Well, because most of the honey comes from Chinese markets that are responsible for allowing dangerous antibiotics and ample amounts of heavy metals to enter imported honey products. Makes you want to throw away those athletic “Honey Gel Packs” doesn’t it! You might be thinking, “OK Maria, then I will only buy honey from my friends who make their own.” In that case, remember that by weight, a homemade batch of honey is 82% sugar. Half of that sugar (40% of the total weight) is fructose, and the honey still contains only trace amounts of vitamins and minerals. Your body doesn’t care whether you ingest honey or table sugar; once they enter your bloodstream, you produce an abundance of insulin. To your body, sugar is sugar. All types of sugar should be consumed cautiously, even if it is honey. 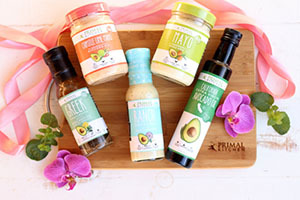 Do you think that substituting granulated sugar with a sticky goo called Agave is a better choice since it is expensive and sold in the health food isle? NO, it isn’t! Sugar is about 50% fructose where Agave is up to 90% fructose. Many diabetics believe that fructose is a better choice since it doesn’t increase blood sugar as much when they consume it. But the problem runs deeper. All sugars can be made into triglycerides, a form of body fat; however, once you start the process of fat synthesis from fructose, it’s hard to stop it. Our liver is like a ‘traffic cop’ that coordinates what we eat including sugars. It turns sugars into energy (if you are active), triglycerides, and cholesterol. Triglycerides are mainly formed in the liver. It is the liver’s job, when it encounters glucose, to decide whether the body needs to store the glucose as glycogen, burn it for energy or turn the glucose into triglycerides. Even if you are an athlete, burning sugar for energy is an inefficient and limiting source of energy. This is why marathon runners “Hit the Wall.” Your liver can only store 60-90 grams of carbs at a time. I am seeing fatty liver disease in small children now, not because they are drinking alcohol…they are drinking massive amounts of juice! If you imagine our traditional culture, fruit is a seasonal summer food when we were most active. We didn’t have semi trucks shipping in oranges from other countries to a factory squeezing all the fructose out to form a sweet drink. Eating an orange is fine, but drinking 6 of them in a 8 ounce glass is too hard on our children’s liver. Different types of fruit have different levels of fructose too. Rhubarb is very low in fructose, where tropical fruits like bananas are very high (see the charts on fruits in all of my books). Fructose also has no effect on our hormone Leptin, which tells us to stop eating AND interferes with Ghrelin, which is our hunger hormone. To read more go to HORMONE charts in Secrets to a Healthy Metabolism. Antioxidants are natural defenses against oxidative stress and may reverse or protect against advanced liver damage. To read more on what are the best antioxidant supplements, check the Supplement Chapter in Secrets to a Healthy Metabolism , which discusses when and how much to take. 1. A cut is made on the flower of the coconut palm, and the liquid sap is collected into containers. 2. The sap is placed under heat until most of the water in it has evaporated. Coconut sugar does maintain some of the nutrients found in the coconut palm. It is difficult to find exact data on this, but according to the Philippine Department of Agriculture, coconut sugar contains several nutrients. 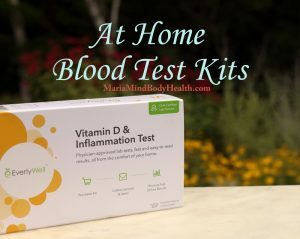 Most notable of these are the minerals iron, zinc, calcium, and potassium, along with some polyphenols and antioxidants that may also provide some health benefits. The reason it is lower on the glycemic index is because it also contains a fiber called inulin, which may slow glucose absorption. Even though coconut sugar does contain some nutrients, you’d have to eat a ridiculous amount of it to really get any benefits from these nutrients. 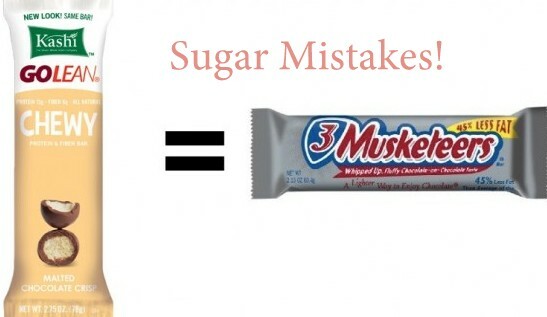 You would get a lot more from non-sweet foods. Coconut sugar has the same amount of empty calories as table sugar. 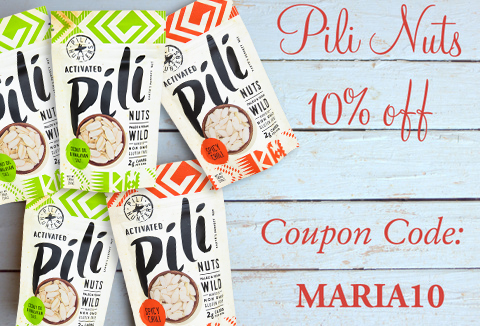 So again, you may be thinking, “OK Maria, if I want to sweeten something a little, I will use coconut sugar since it seems less harmless than honey.” No! Let me surprise you with a tidbit: even though I see claims all over the web that coconut sugar is commendably fructose-free, 70 to 80% of it is made of sucrose, which is half fructose (and half glucose)! 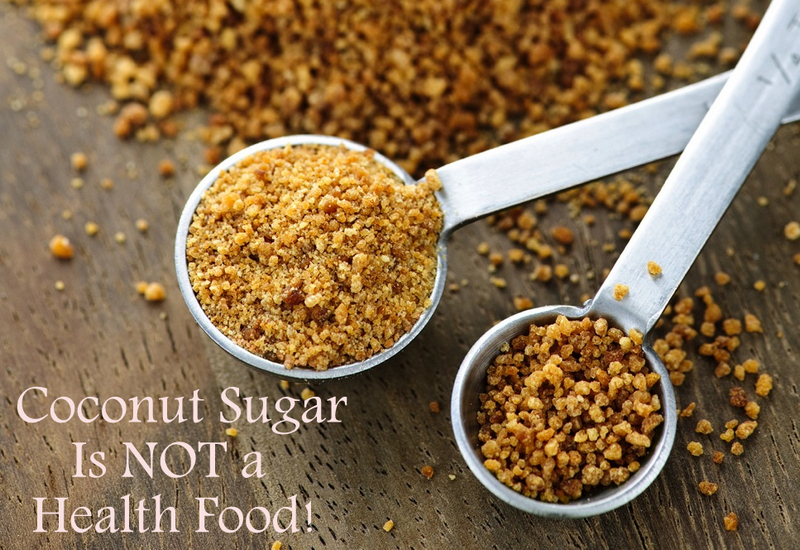 This essentially means that coconut sugar supplies the same amount of fructose as regular sugar, gram for gram. Fructose can only be metabolized by the liver; glucose on the other hand can be metabolized by every cell in the body. Fructose raises triglycerides (blood fats) like no other food. Fructose bypasses the enzyme phosphofructokinase, which is the rate-limiting enzyme for glucose metabolism. Fructose is shunted past the sugar-regulating pathways and into the fat-formation pathway. The liver converts this fructose to fat, which, unfortunately, remains in the liver = FATTY LIVER DISEASE. Consuming fructose is essentially consuming fat! This is why I see so many children with fatty liver disease…they are not drinking alcohol, they are drinking sodas, juices and consuming too much fructose! As long as you understand just how detrimental fructose is not only to your waist line, but also to the overall health of your cells and liver, you see that coconut sugar, honey and agave should be avoided. 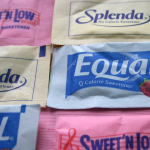 Sucralose, also known as Splenda is a popular artificial sweetener. It is most well known for its claim to be made from sugar (which it got in trouble for and no longer claims). It is 600 times sweeter than table sugar. Sucralose has also been found to inhibit zinc and iodine from being absorbed, which are essential for proper thyroid function. It is also linked to decreasing good gut-bacteria, which will increase Irritable Bowel Syndrome. Artificial sweeteners will cause stress on your metabolism, liver (detoxing) and effect overall health. They also can cause changed in our gut flora which is essential for good health and immune function (source). Stay away from all of these artificial sweeteners. Brown sugar, corn syrup, corn syrup solids, dextrose, fructose, fruit juice concentrate, glucose, honey, invert sugar, lactose, malt syrup, molasses, raw sugar, sucrose, maple syup, brown rice syrup, malt syrup, agave nectar, beet sugar, cane crystals, corn sweetener, dehydrated cane juice, dextrin, high fructose corn syrup (HFCS), maltose (anything ending in “ose” is a sugar! ), palm sugar, saccharose, sorghum or sorghum syrup, sryup, treacle, turbinado sugar, xylose. Also stay away for the “Bad” sugar alcohols like Malitol and Sorbitol as they can cause GI issues. They also are not ketogenic and will cause blood sugar to increase. Something to Watch For: Since it is so concentrated many companies such as “Stevia In the Raw” add ‘bulking’ agents to make it useful for baking with such as maltodexterin. STAY AWA Y from those products. Sugar has a glycemic index of 52 where maltodexterin has a glycemic index of 110! When I first started writing recipes years ago I used products that contained maltodexterin and probably had a dessert every day that contained it. When I realized how bad it was I lost 7 pounds in a week! Look for products with just stevia as the ingredient or with stevia combine with another natural sweetener listed below (erythritol, etc.). 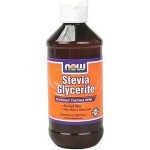 Another great option that I use in my recipes is stevia glycerite. It is a less bitter alternative and can give a more balance sweetness. CLICK HERE for the one I recommend. One thing I find interesting is some people’s reluctance to try alternative sweeteners like Erythritol and Xylitol. Many times they think they are artificial sweeteners due to their chemical sounding names. While this is typically a good instinct when looking at ingredient labels, in this case it is not warranted. Erythritol is a sugar alcohol or polyol. It is found naturally in some fruits and fermented foods. From the Wikipedia page it is “almost noncaloric, does not affect blood sugar, does not cause tooth decay, and is partially absorbed by the body, excreted in urine and feces. It is less likely to cause gastric side effects than other sugar alcohols due to its unique digestion pathway.” The typical manufacturing process involves using yeast to ferment glucose (typically from vegetables). When using good non-GMO vegetables, this process is no less natural than distilling maple syrup.I think that this is somewhat similar to calling salt “sodium chloride”. Salt is mainly sodium chloride but if we said “put some sodium chloride on my eggs” instead of “put some salt on my eggs”, the perception is very different. Or like calling Maple Syrup what it really is, Concentrated Xylem Sap. CLICK HERE for some great Erythrtiol sweeteners. Monk fruit is native to China and has a sweetness that is 300 times sweeter than sugar, similar to stevia. But unlike stevia, it doesn’t have the bitter aftertaste. Again, be a detective and watch the ingredients. Since it is 300 times sweeter than sugar, it is typically bulked up with another sweetener so watch out for maltodexterin, etc. 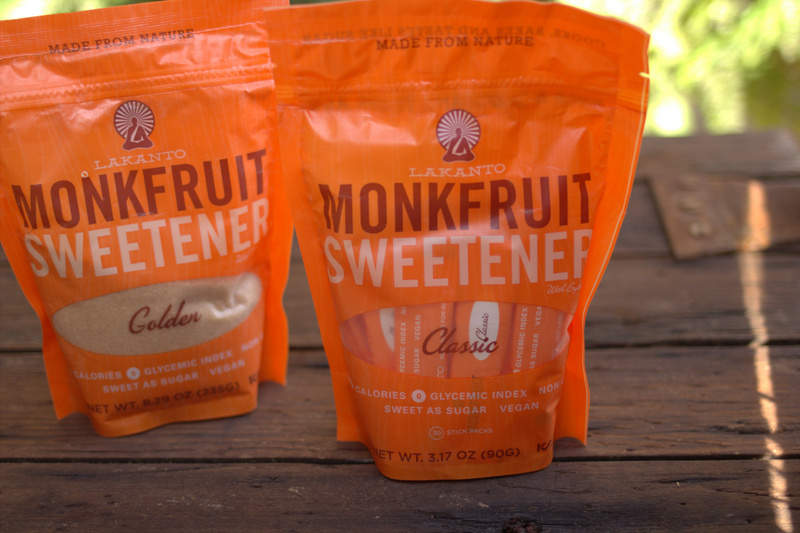 CLICK HERE for the monk fruit sweetener I recommend. Swerve is a great tasting, natural sweetener that measures cup-for-cup just like sugar. Ma de from a unique combination of non-GMO ingredients derived from fruits and vegetables, Swerve contains no artificial ingredients, preservatives or flavors. Swerve is non-glycemic and safe for those living with diabetes. Human clinical trials have shown that Swerve does not affect blood glucose or insulin levels. 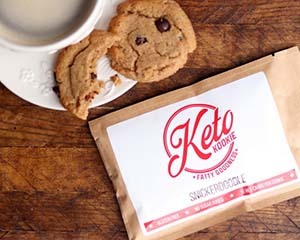 The secret to the zero calorie sweetness is a combination of erythritol and oligosaccharides that provide excellent baking and cooking functionality. And with the ability to brown and caramelize, Swerve is a great all purpose sub for sugar. Other blended sweeteners can have great flavor and results in baking. Blending multiple natural sweeteners gives the product a better overall flavor and sweetness. Some great examples are Sukrin, Pyure (Erythritol and Stevia), Norbu (Erythritol and Monk Fruit), Natvia (Erythritol and Stevia), Lankato (Erythritol and Monk Fruit) and Zsweet (Erythritol and Stevia). CLICK HERE to get some swerve. 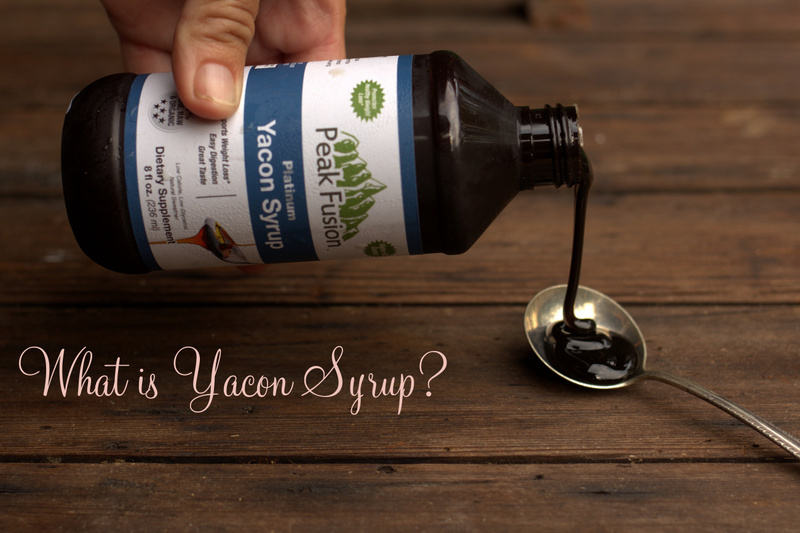 What is Yacon Syrup you ask? It is a very thick syrup that is fresh pressed from the Yacon ro ot (Smallanthus sonchifolius) and has been consumed for centuries in Peru. 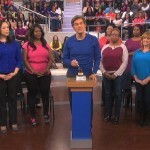 Not that I’m a fan or you can trust everything he says, but Dr. Oz even did a segment on his show about how awesome Yacon Syrup is. You wouldn’t want to use Yacon on it’s own, mainly because it is very expensive but also because it does have some fructose in it. We bought a small jar and it has lasted us 4-6 months. I basically use a tablespoon here and there to make smooth sauces such as my sweet-n-sour sauce, ketchup and BBQ sauce to create a perfect mouth-feel in my Sweet-n-Sour sauce or that molasses flavor profile in BBQ sauce. This keeps sugar to 1g or so per serving. Click HERE to find Yacon. Inulin based sweeteners can be used sparingly in a well formulated ketogenic diet. But you need to take care with these as the carbs can add up quickly. Even thought they are all fiber carbs, too much can kick you out of ketosis. I have seen it many times with clients. 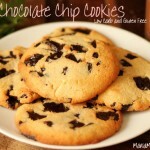 So used sparingly for special occasions (like my chocolate chip cookies to get that chewy texture). Just Like Sugar is a popular form of inulin sweetener (chicory root inulin). 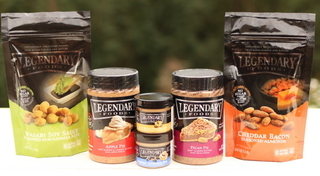 It comes in regular and brown sugar and has 97g of carbs per 100 grams (almost all fiber). Xylitol is a naturally occurring low-calorie sweetener found in fruits, vegetables and certain hardwoods. Our bodies can produce up to 15 grams of xylitol per day from the foods we consume. Xylitol produces a lower glycemic response than sucrose or glucose so it has minimal side effects on blood sugar and insulin. It is not as low as erythritol (Swerve), but sadly erythritol doesn’t work recipes such as low-carb hard candies like my Suckers or Jolly Ranchers because it will not melt down properly (it crystallizes as it cools). Also some people prefer the taste of xylitol as compared to erythritol. 1. 40% fewer calories than sugar. 2. Researchers found that kids who consistently chewed xylitol gum had 40% fewer ear infections than those who did not. 3. Pregnant women benefit from xylitol to keep their teeth healthy especially during the third trimester, when teeth are especially soft. 5. Reduces tooth decay: If you drink acidic sports drinks frequently, eat carbohydrates often and spend hours dehydrated and breathing through a dry acidic mouth, such as athletes and teenagers, these are risk factors for tooth decay. Xylitol inhibits cavities by denying plaque bacteria the fuel (sugar) it needs to erode tooth enamel. 6. Studies show that a consistent use of at least 6-8 grams if Xylitol daily can reduce cavities as much as 80%. If you already have gum disease or cavities, these problems can be reversed. Regular use of xylitol can stop things from getting worse (along with a grain-free diet and increased consumption of fat soluble vitamins A, D, E and K). Click HERE to find xylitol made from a birch tree. Allulose is new sweetener that is a rare sugar that doesn’t get digested. It only has 10 calories per serving (similar to xylitol) but has zero impact on blood sugars or ketones. We even had a friend test on his type 1 diabetic son and there was zero change in blood sugar. About 2/3 of allulose goes out through the urine. Then rest goes out through the large bowel. It has many great property as it cooks just like sugar and taste very much like sugar. It also keeps ice cream soft in the freezer. But is can cause some GI stress with too much consumption (gas, etc) so make sure to use moderately. 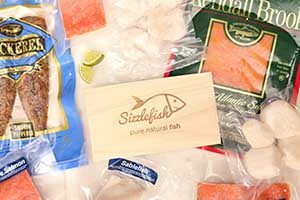 CLICK HERE for the allulose products we like. 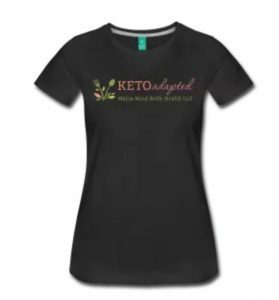 Read more on glycation, natural sweeteners, coconut sugar and much much more in “Keto-Adapted”. If you would like to help out a small family, rather than large business, I am happy to announce that you can now get my books as a high quality ebook that works on any platform. Plus, most of the profits don’t go to Amazon or apple! Click HERE or select “My Books” above to get your copy now! 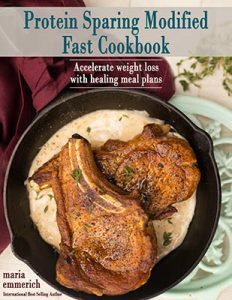 Click HERE to get a your copy of Keto-Adapted. 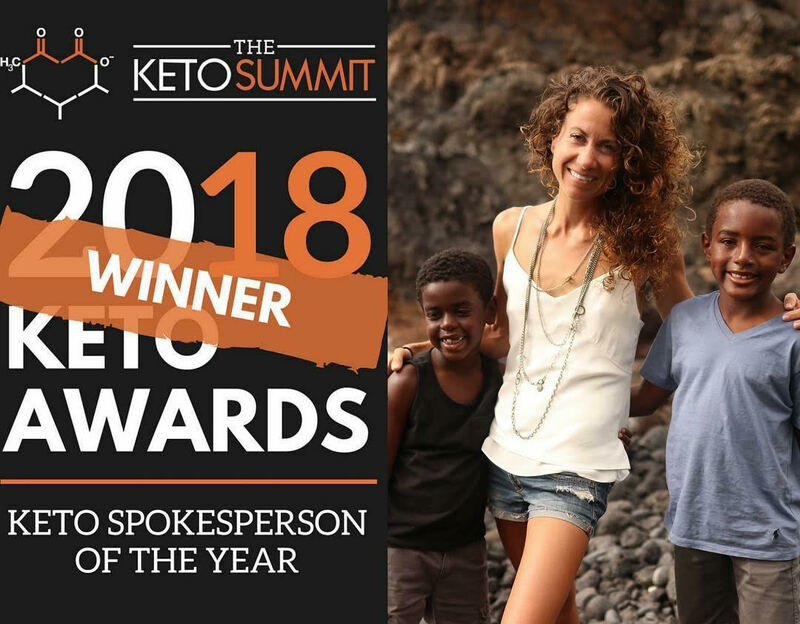 Keto Cleanse Testimony on MIGRAINES: “Hi Maria, I have suffered from chronic migraines with auras for the past three years. 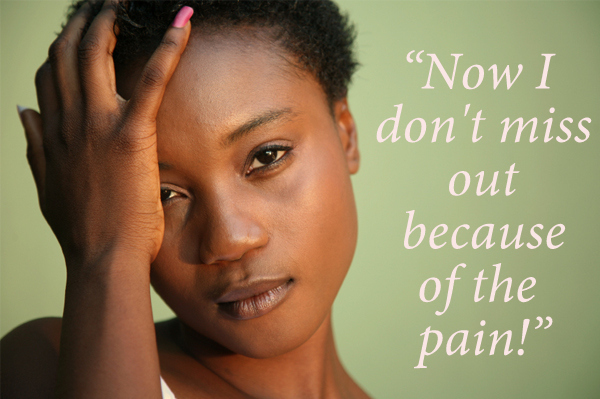 I was at the point where I had felt like I had tried everything, every pill that doctors pushed to subdue the pain, acupuncture, botox, steroid injections, chiropractor. Keto Cleanse is on sale now! Start your path to health today! This is great. Thanks Maria! Just Like Sugar spikes my daughters glucose. 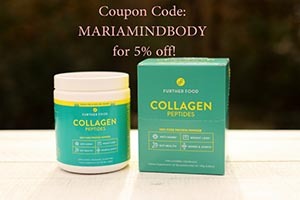 Hey Maria quick question, when I did Atkins about 10 year she ago I could handle sugar substitutes mainly Splenda but how whenever I have xylitol or erythritol I am in so much pain I can tell move. Is there a sugar substitute I could use or do I have to go off of all of it? Thanks for your help! Sorry for all the spelling errors. Basically I cramp sonbadly when taking those sugar substitutes I don’t know how to navigate a Keto way of living. I use xylitol in ice cream with great results. It is very scoopable. 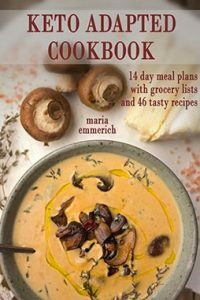 Maria, I’ve been enjoying reading your blog,looking on Amazon at some of the books you have suggested,reading comments,recipes,etc. 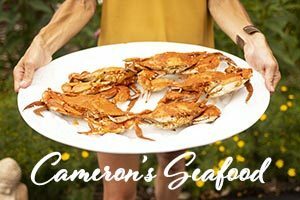 Avid cook ,kid and critter lover I am also interested in using natural sweeteners and so of course was very interested in reading this post. I haven’t personally researched it out yet , but for anyone of your followers who decide to use xylitol ,has dogs (possibly other pets as well,not sure of that either)and loves to share food with them, my sister ,also an avid cook and dog “mom” told me that xylitol is deathly for dogs. For any animal lovers out there it might be a good idea to check on new ingredients they may incorporating into their recipes etc.before they let any of their fluffy,furry or feathered family members share with them. P.S. My site hasn’t launched yet due to a hack ,that my web designer is working on,before it got off of the ground . Anyone wanting to check it out ,please visit me again later . What has happened to Just Like Sugar which you list in several of your cookbook recipes? Is it still available and where would it fall in your list above? Is Just Like Sugar bad?! why does the label on just like sugar say no carbs ? are there really carbs and they are not saying ? i dont understand what you mean that carbs add up on this product ? That is for a tiny 1/2 tsp serving so they can round the carbs down to zero. Hi Maria! Thank you for the wealth of information. 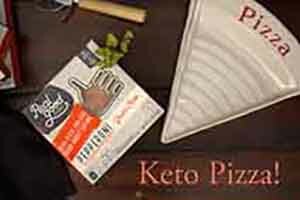 I have a question about DaVinci sugar free gourmet syrups. They have sucralose but it is in a liquid form. We have used it in very small amounts to flavor coffee or smoothies. 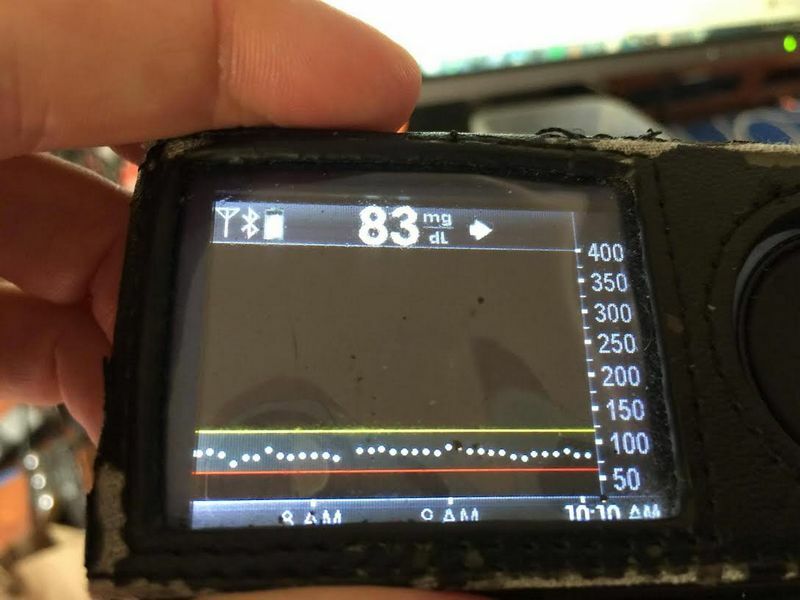 It doesn’t spike my husband’s (who is a Type 1 Diabetic) blood sugar. I was just wondering if because it is in the liquid form, is it an acceptable ketogenic choice? Thanks for your help! Hey Maria…. what about just like sugar ? i looked at the nutrition label and there are no carbs. is it good to use when you are making single serve desserts ? but i am always looking for a good sweetener. just like sugar seems interesting. can it be used in small quanities….. like a tablespoon a day ( for baking)….. or is that too much ? As you can see here, it does. The 0g was for a tiny 1/2 teaspoon serving. 1 TBS would be about 15g of carbs. Hey Maria… thanks for answering me… but something is not adding up here…. this is the link i looked at…. scroll down and you will see they say that there is NO carbs in 100g of the stuff…. in fact its zero for everything. this is really strange…. what do you think is going on here ? i would never have even brought this up if i hadnt seen this on their website. am i missing something ? That is for 1/2 teaspoon. If you look at the label for 100g is shows 98g carbs. I’m calling these people tomorrow to see what the real story is. there are 2 different labels saying different things. one says no carbs…… the other one says there are. so ? ….is there or isnt there carbs in just like sugar ? One says zero carbs for 1/2 tsp (tiny size so they can round down the carbs). For 100g serving size it is 98g. Many companies do this were they make the serving size very small so they can round down the carbs to zero. Yes Maria… i saw that. but that is not the one i was looking at. on the SAME website…..on another page…. they say there are NO CARBS ! look at THIS page from their website ! so whats up with THAT ? are there carbs? …..or arent there ? like i said…. i am calling them tomorrow. Yes, the serving size is 1/2 teaspoon. Small enough so they can round carbs down to zero. Hi Maria… spoke with Just Like Sugar today…. they were not aware of the discrepancy of the 2 nutritional charts. She did tell me she would get back to me thru email about it. i’ll let you know here. What do you think of SweetLeaf Stevia powder? What do you think of SweetLeaf stevia powder. I wish Swerve didn’t have the cooling aftertaste. Hi Maria…. i did hear back from the company…. they insist that there are NO carbs in the product. even though the nutrition chart says there are. they say that they have to put that down for the FDA. but there are no carbs in the product because of the high fiber content. how is THAT possible ? required by the FDA to do one thing…. then say the chart means nothing because of the fiber content. i kept asking her does the fiber content negate the carb content….. she said no….even though she did say that it did earlier in the conversation….. but she never gave me a straight answer. i never have seen anyone quite so good at actually avoiding questions…. this woman was a champ at it ! basically the woman gave me the run around. she adeptly avoided answering my questions at every turn so … i was unable to actually get a straight answer out of her…. i finally just gave up because i figure there MUST be carbs if she was so intent at avoiding my questions. i figure that you are right…. there are carbs in the product… although she insisted that there WERE NONE ! she flat told me…… THERE ARE NONE ! i am NOT buying the product as i dont trust this company. Nope, fiber is a carb. Which natural sugar free sweetener in your opinion tastes the best , no bitter aftertaste?. 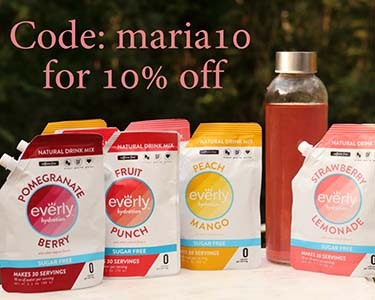 Maria, I’m curious if you’ve ever tried WheyLow sweetener. They claim to “taste just like sugar” and have 75% less calories and carbs than regular sugar, but I’m wondering if it does spike blood sugar. They claim diabetics can use it safely, but I’m always leery of manufacturer claims. Also, do you know of a good brown sugar substitute? Thanks for your great tips! Whey low is better than sugar but still raises blood sugar. Which one has the least aftertaste? Maria ….. how do you like Z sweet ? does it have alot of carbs or calories ? how is it for baking ? I was curious to know what category you in which you would put SunRoot Sweetener. It is derived from Jerusalem artichoke root. Here is the info: 2 Tbsp SunRoot Earth Apple™ Sweetener has 90 calories, 12g inulin fiber, and 11g sugars. I’m trying to find a natural low-carb option for topping my low carb pancakes and waffles. Hi, what do you think of therasweet by livingfuel.com, also tagatose, lakanto? Maria – what’s your take on isomalt? I’ve seen chocolate bars (Fifty50) in the store recently using this sugar alcohol. Curious if it’s natural and its effect on blood sugar. Thanks for al the great information. I am wondering what your take on Sukrin Gold (brown sugar alternative). I don’t recognize all of the ingredients in it. I do see your reference to Sukrin in general, and I see Gold in your picture, but would like to make sure before I order it online. 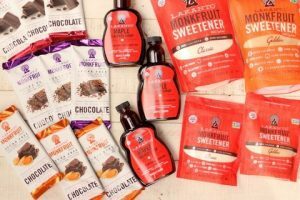 Hi, I just found a new natural sugar free sweetener online called Coco Monkey from Wilderness Family Naturals – it has organic Inulin, freeze dried coconut water, monk fruit extract, What do you think about this sweetener. I’m trying to find a natural sugar free sweetener that actually taste good, I’ve tried 100% pure Erythritol crystals and Stevia powder, but I didn’t like them it all. I heard liquid Stevia is better with no bitter aftertaste and everybody seems to like Swerve, it is maybe because it’s mixed Erythritol & Oligosaccherides. Maria, I have been using Splenda in my tea and coffee and Swerve for baking , due to the cooling aftertaste. I really would like to stop using Splenda but I don’t care for the taste of swerve in liquids. Any suggestion? And stevia didn’t work either, due to the bitter aftertaste. Do you count the carbs in Xylitol? 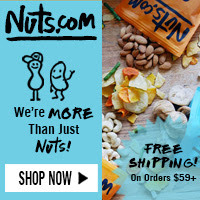 I found a company DrJohns.com that makes candy and chocolates with Xylitol and one serving might be 25 carbs with all 25 of it being sugar alcohol. Do I count this in my daily carb count or not? What about with Erythritol? Thanks! I write about this in my cookbooks. Do not count erythritol carbs but xylitol is a bit different. It is higher on the glycemic index and can take some people out of Ketosis. I suggest checking your ketones with a blood ketone tester. Have you learned anything more about xylitol? It is our preferred sweetener and I was hoping that we could count it similar to erythritol for effective carbs. I have most of your cookbooks but am still not sure about counting the xylitol carbs. It raises blood sugar a bit. Maria, I know we all pay attention to what effects our blood sugar but what about our insulin levels? I’ve read a couple of different things that just the taste of sweet can trigger the release of insulin into the bloodstream for some people. This then can cause hypos because there is now insulin in the system but no glucose for it to “work on”. What are your thoughts on that? Anything to be concerned about? Thanks! As I work with type 1 and type 2 diabetics the sweeteners I approve do NOT increase insulin. Just because you put stevia in your body will not increase insulin. 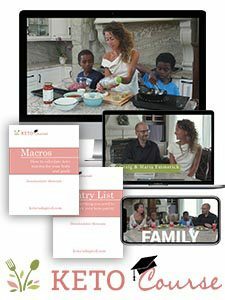 Thanks so much for sharing all your research and recipes. 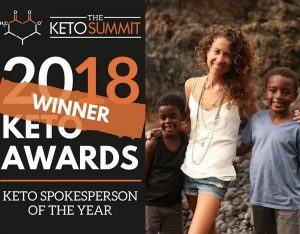 As a newly diagnosed brain cancer patient, I have been following the ketogenic diet in hopes of at least preventing my tumor from growing (fingers crossed!). While I am monitored by doctors on this diet, I wanted to seek your opinion on the topic of carbs/sweeteners. I try to stick to 20g of carbs a day, but as I do that, do you believe that I can subtract the fiber from the foods I eat? I see above that you mention that it is ok to subtract the sugar alcohols from Swerve, but do you believe that is ok for someone in my situation as well?? 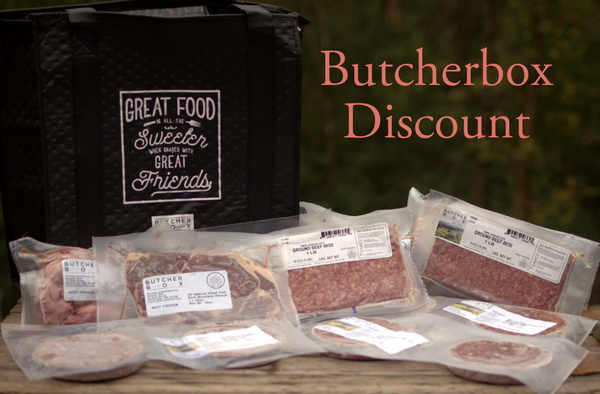 I am so nervous about giving my body anything that could “feed the tumor,” but at the same time, I’d love to enjoy some “treats” around the holidays! Any feedback you can provide is appreciated! Thank you, again! This is really usefull, since I’m still figuring out which sweetener to use for which recipe. I have some canisters and bags of “Just like sugar” brand. However, one of the canisters had another description on the ingredient list.’Just like sugar is a unique blend of “Crystaline maltodextrine and chicory root fiber’ I’ve contacted the company to ask if there is yes of no maltodextrine in their product. They asked me for pictures of the different products I bought and I’ve tried to get an answer for like 10 times, with no results. Nobody seems to want to answer this question, but I would really like to know this. Can I still use the products or is better to use another sweetener? I don’t know who better to ask then you and since the product is also on your list of sweeteners, I thought this might interest you to. Thank you so much. Thank you so much. Will be throwing them out. This article is AWESOME! Love those info! Thank you! I’m trying to get pregnant and living the Keto lifestyle. Which sweetener is the safest for pregnancy? I’m confused about Swerve which says on the label that it has 5 grams of carbs in 1 teaspoon, while the same amount of sugar is 4 carbs. However in some of your recipes that use Swerve, the total carb count is 0. Can you please explain? I’m new to the Keto lifestyle. Thanks!! You can subtract sugar alcohols from total which makes 0. Just a quick question…I have a couple of bags of Just Like Sugar that I have let expire, according to the date on their package. Like by about 2 years. Do you think that expiration date is a true expiration, or would these have a much longer shelf life like regular sugar? Thanks! Hmmmm….I’m not sure. I would contact them to ask. I bought Pyure bakeable stevia blend on the recommendation from you new cookbook. The Pyure has maltodextrin as an ingredient; I thought this was bad? They must have just added it. So sorry! Thank you for this information. I was needing to find out the info on Sucralose, but also found the xylitol info very helpful. I, too, experienced stomach discomfort and diarrhea with xylitol readily available. Will definitely look into the birch sourced brand, as I like the taste of xylitol. You say that Splenda is Sucralose, but it isn’t just Sucralose, it’s a mixture of both Maltodextrin and Sucralose. I have heard of problems with Maltodextrin raising glucose levels, not Sucralose. 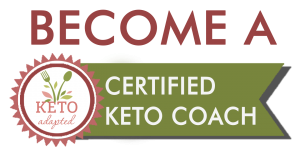 I follow you and others who have become my guides in my Keto life and I am hearing both good and bad. Would you elaborate please. Yes, maltodextrin is bad. Higher glycemic index that sugar. But sucralose is bad too. Can be hard on the thyroid. I prefer natural sweeteners. 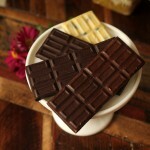 Have you heard of XyloSweet–plant sourced sweetener? 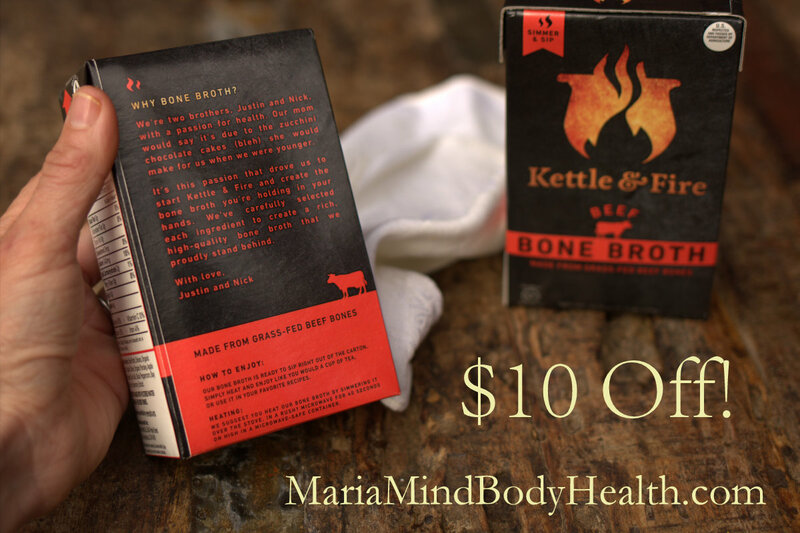 The label says Gluten-Free, Non-GMO, and is heat stable for cooking and baking, it also mixes and dissolves just like common sugar. Yes, Sharon. I have used this. It is a brand of “xylitol”. Xylitol is a natural sweetener very similar to erythritol. The difference is xylitol has a glycemic index of 7 and erythritol has a glycemic index of 0. I actually prefer the taste of xylitol, but my hubby needs to go with the erythritol due to his diabetes. It seems to make a difference for him. In Maria’s books she mentions xylitol as an option for sweeteners. Just realize that it may raise blood sugars a tiny bit, and to some that can be an issue. Hi Maria, I made some fat bombs with Swerve and I’m confused because the fat bombs yielded 2 net carbs each but the entire recipe called for 1/4 cup or Swerve. And when I look at the back of the swerve package it says 1 teaspoon is 5 carbs so I feel like their net carb amount is off and should be a lot higher. Am I supposed to count Swerve carbs or is it digested differently so you don’t count them? Or am I missing something else? Thank you for your help! Carbs in swerve don’t count because they are not digestible.